Caveolin-1 (cav-1) is the major structural protein of caveolae, the flask-shaped invaginations of the plasma membrane mainly involved in cell signaling. Today, cav-1 is believed to play a role in a variety of disease processes including cancer, owing to the variations of its expression in association with tumor progression, invasive behavior, metastasis and therapy resistance. Since first detected in the brain, a number of studies has particularly focused on the role of cav-1 in the various steps of brain tumorigenesis. In this review, we discuss the different roles of cav-1 and its contributions to the molecular mechanisms underlying the pathobiology and natural behavior of brain tumors including glial, non-glial and metastatic subtypes. These contributions could be attributed to its co-localization with important players in tumorigenesis within the lipid-enriched domains of the plasma membrane. In that regard, the ability of cav-1 to interact with various cell signaling molecules as well as the impact of caveolae depletion on important pathways acting in brain tumor pathogenesis are noteworthy. We also discuss conversant causes hampering the treatment of malignant glial tumors such as limited transport of chemotherapeutics across the blood tumor barrier and resistance to chemoradiotherapy, by focusing on the molecular fundamentals involving cav-1 participation. Cav-1 has the potential to pivot the molecular basis underlying the pathobiology of brain tumors, particularly the malignant glial subtype. In addition, the regulatory effect of cav-1-dependent and caveola-mediated transcellular transport on the permeability of the blood tumor barrier could be of benefit to overcome the restricted transport across brain barriers when applying chemotherapeutics. 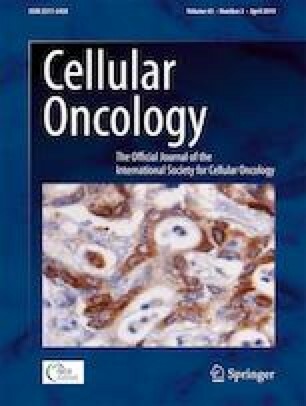 The association of cav-1 with tumors of the brain other than malignant gliomas deserves to be underlined, as well given the evidence suggesting its potential in predicting tumor grade and recurrence rates together with determining patient prognosis in oligodendrogliomas, ependymomas, meningiomas, vestibular schwannomas and brain metastases. PEO analyzed the literature, wrote the review and draw the figs. UO structured the sections, designed and substantially contributed to the development of the review. JT and JHZ supervised and critically revised the paper. All authors have read and approved the submitted manuscript.